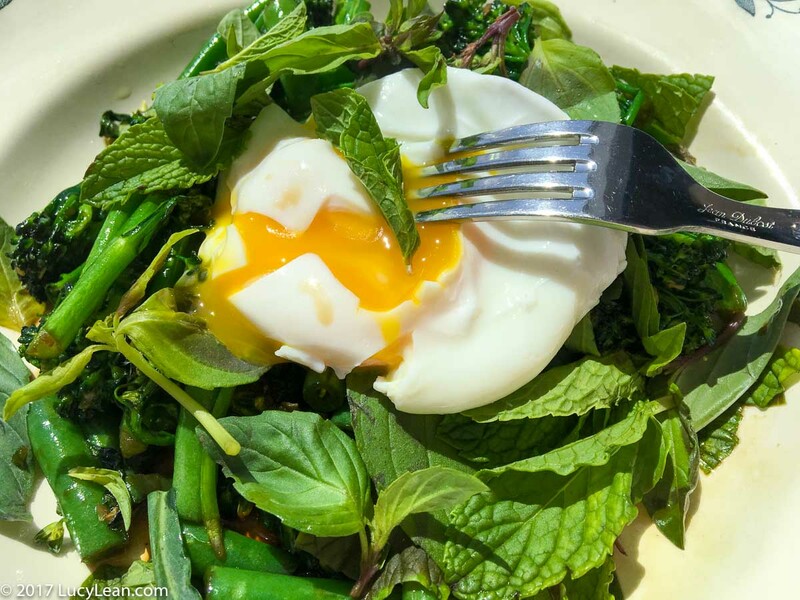 Last weekend in The Guardian Kay Plunkett Hogge wrote about her ultimate comfort food, shoeless days growing up amid the bustle of Bangkok and gave her recipe for Pad Kaprow Moo – a spicy fragrant Thai dish topped with a deep fried egg. Off I went to the Thai supermarket on Hollywood Boulevard – just over a mile away from home, in search of Holy Basil. The supermarket is intimidating – row upon row of Thai ingredients stacked high. I took a deep breath and looked at my list – first up soy sauce – Lite and Sweet. After many minutes staring at the shelf I made my selection – and there near by was fish sauce. I chose the bottles that looked the prettiest! Chili’s two kinds and garlic and I was feeling like I’d got this – until I came upon the basil department – a large rack, three shelves high with Thai basil, regular basil, another Luck leaf that looked like basil and then there it was – a sign letting me know I was out of luck. 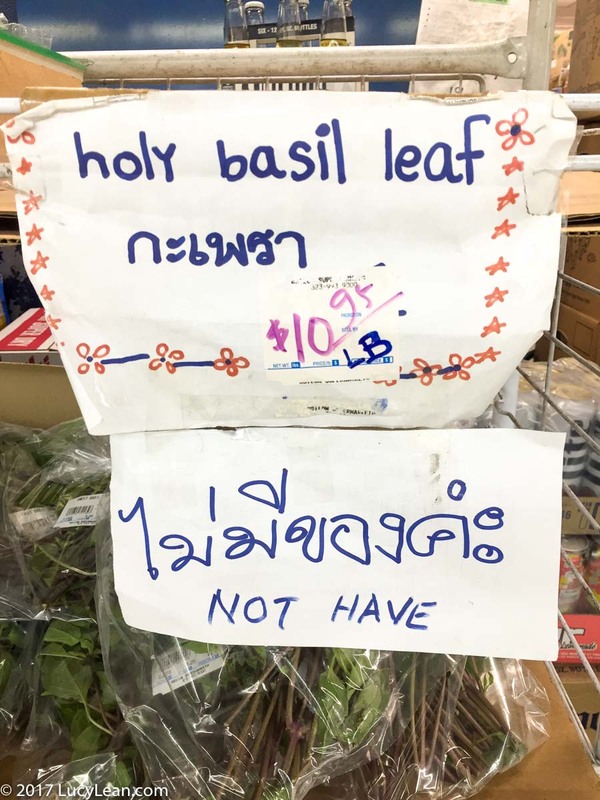 Holy Basil leaf – NOT HAVE. I had read some of the comments on the Guardian site berating Kay for using the wrong basil – I mean people really get upset about substitutions. 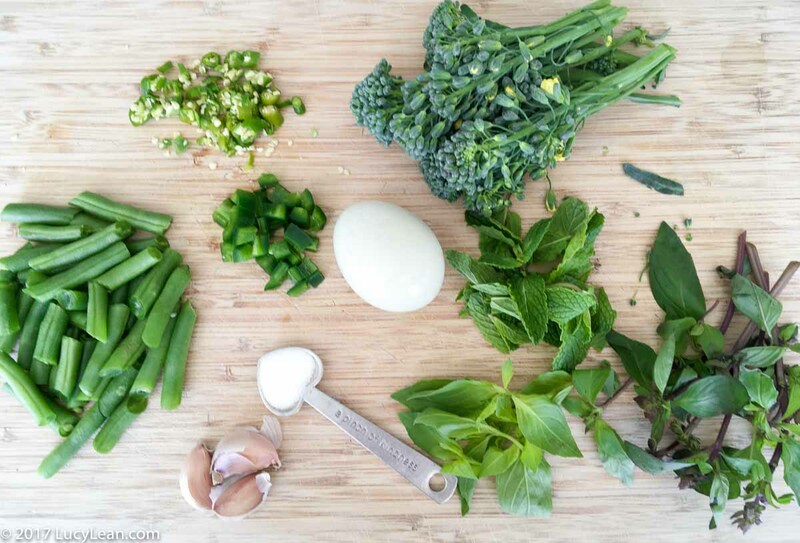 I would use the Thai basil and the mystery Luck Leaf ‘basil’. The ground pork was sourced from Mccalls and I was all set. On Sunday I cooked it for the kids for brunch before National Children’s Chorus rehearsal – I reduced the chilis a little and neither wanted a fried egg and served it over brown rice. Moo but no egg. 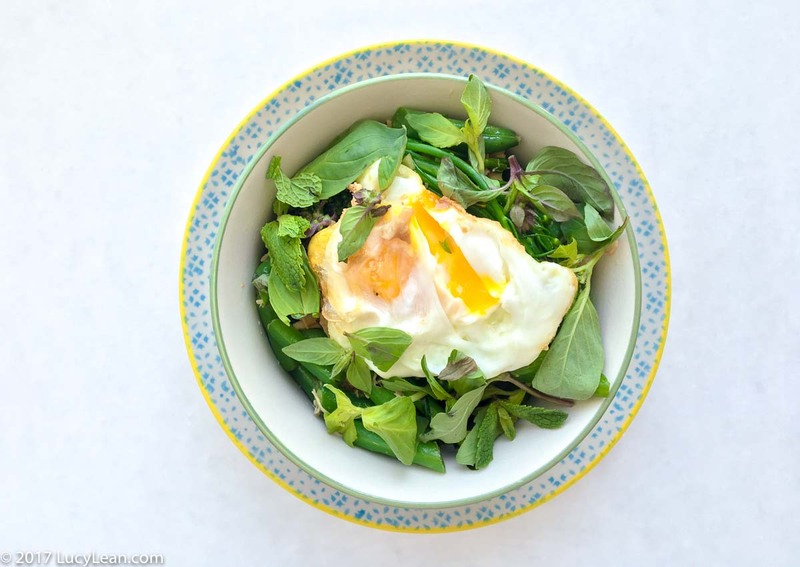 I cooked it again for my lunch on Monday – this time I substituted the pork for shredded chicken breast with quinoa and I added the fried egg. No Moo but egg! For my lunch on Tuesday I was feeling like everything was about yellow and green so I cooked it without meat or grains, all green chilis and a green jalepeno chili, two basils and I added broccolini and a poached egg – I was trying to be healthy and this hit the mark for Lean Luxury – full of flavor, high in protein and lots of goodness. Egg but no Moo! All three renditions were absolutely delicious, with or without the Moo (pork) and with or without the egg – and I’m so glad I’ve discovered this way of cooking – it’s so flavorful, healthy-ish and totally comforting too. 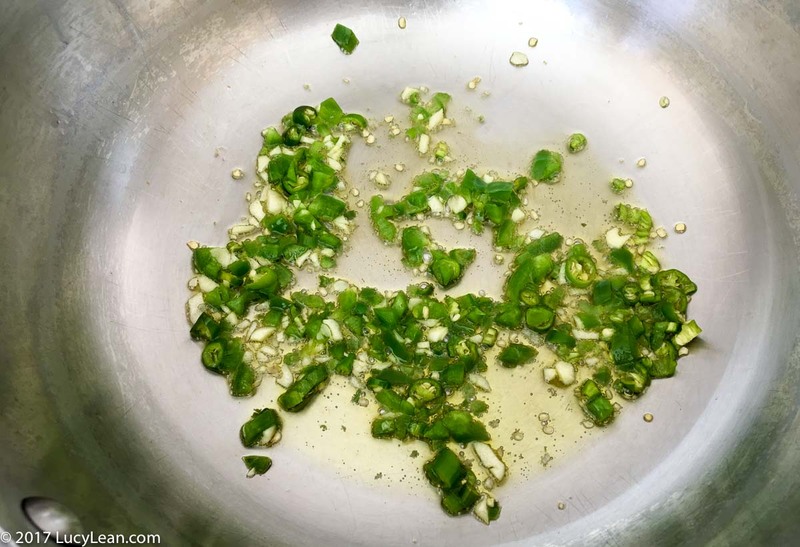 Here’s Kay’s original recipe from The Guardian – feel free to mix it up a little like I did – the stir fry with the 2 soy sauces, fish sauce and chilis is very versatile. 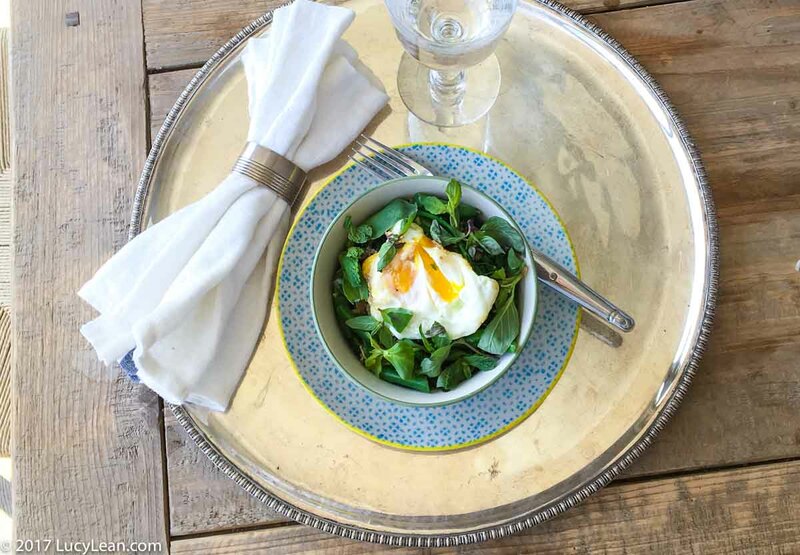 Just don’t go telling any of the naysayers that you haven’t used proper Holy Basil if you can’t source it and drop the Moo and add the egg as the mood requires. 1 In a pestle and mortar, pound the garlic, chillies and salt together into a rough paste, and set aside. 2 Now mix the soy sauces, fish sauce and 1 tbsp of the water together in a small bowl, and stir in the sugar to dissolve. 3 Heat the oil in a wok until its really hot. Throw in the chilli-garlic paste and stir-fry for a few seconds, until you can smell everything in the pan, but not long enough to colour the garlic. Be careful as it will make your eyes water. Now, add the pork and stir-fry until it’s cooked through. Add the green beans, and stir-fry. 4 Add the soy and fish sauce mixture and stir through, allowing it to bubble up before adding nearly all the basil and wilting it into the dish. 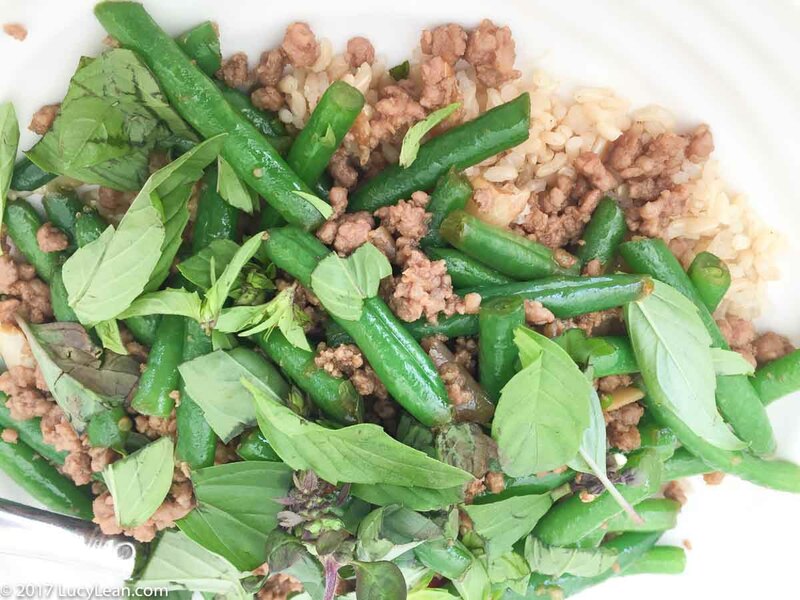 5 Serve over steamed jasmine rice, with the remaining basil leaves scattered on top. 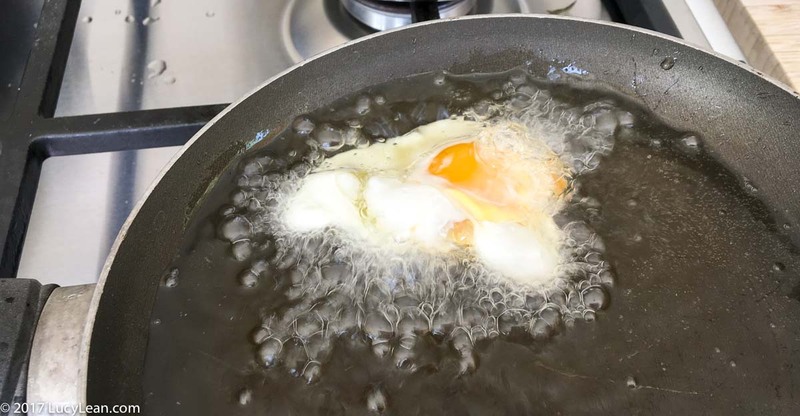 6 For the eggs, heat about 2–4cm depth of vegetable oil in another wok and, when it’s super-hot, crack in an egg. 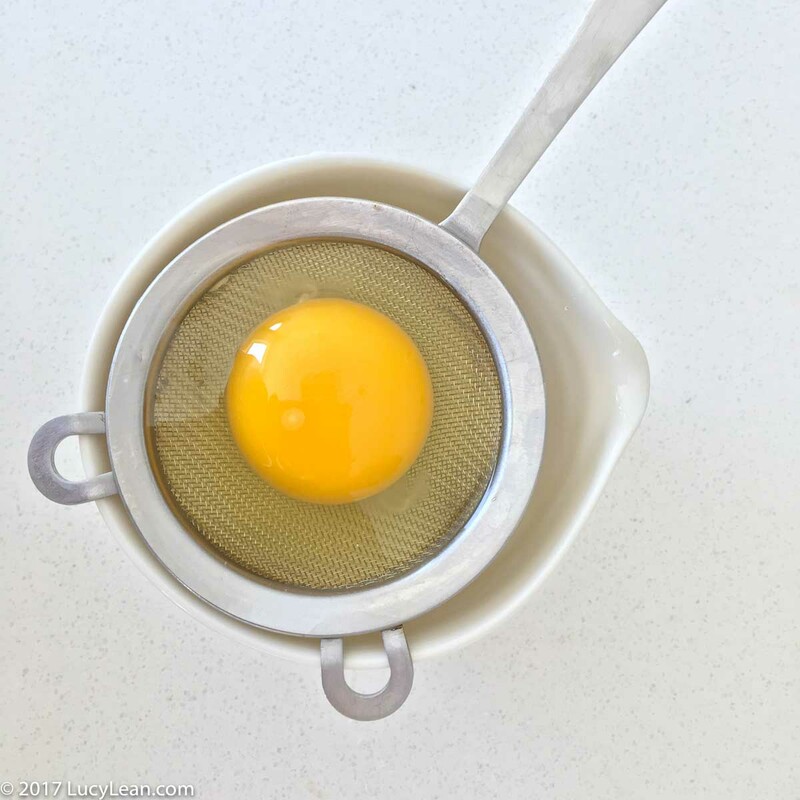 Fry until the white is crispy on the outside, and the yolk running within – it should take about 1 minute. Drain, and serve on top of your pad krapow and rice. 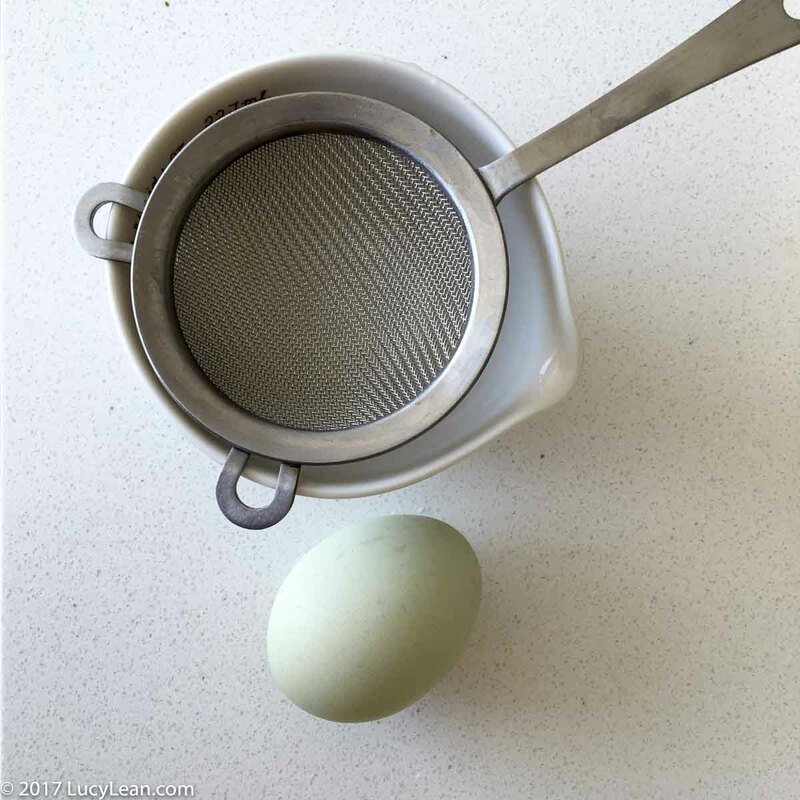 Whether you are poaching or frying the egg crack it into a tea strainer to get rid of the very liquid white – this reduces the tails in the water/oil and gives you a perfect egg every time.